Just my PC I built. Liquid cooled CPU and GPU. it can run any game I throw at it and I use the ASUS PG279Q Monitor. I tried to keep is simplistic and clean and I think it looks pretty good. It's an amazing processor. Probably the best on the market when I purchased it, for the price as there are better ones around $1000 and now skylake 6 and 8 cores that are more affordable. It stays very cool under liquid (never hits 50c) and never goes over around 50% usage in any game. 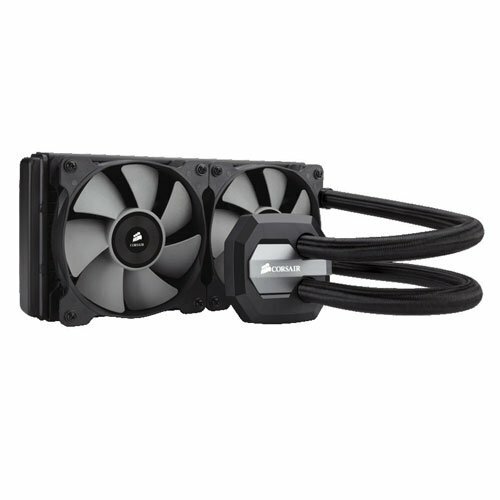 Probably the best AIO on the market. It keeps my CPU very cool and is near silent. Plus it looks really good in my case and features RGB lighting on the pump. I have already convinced multiple friends to buy one and they all love it. A great motherboard with a really nice BIOS. I haven't really overclocked my CPU as I have not needed to do so but from what I have seen its very good for that. I used XMP to get my memory overclocked either no issues. Multiple case fan headers and PCI slots so it supports SLI. Plus there's built in lighting. Some of the newer models have RGB lighting so I would probably pick one of those upeople if I were buying right now. Nothe much to say, it's memory. Low CAS timings, high frequency, and it's affordable. I would definitely recommend. This SSD was one of the best purchases I have made. It makes the PC overall so much more responsive and fast with under a 10 second boot. Programs open instantly and you can tell just how fluid it all is. Read and Write speeds of over 500MBps. 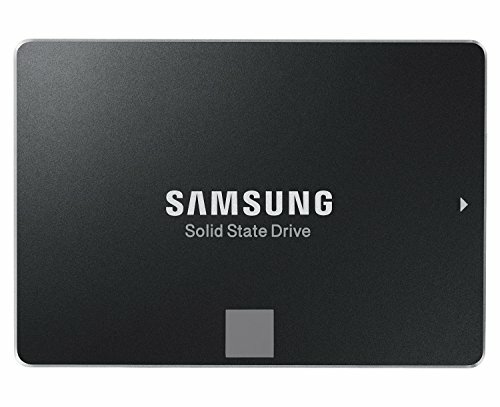 Down the line when 1TB SSDs become around $100 I would probably buy two and just replace the HDD entirely. 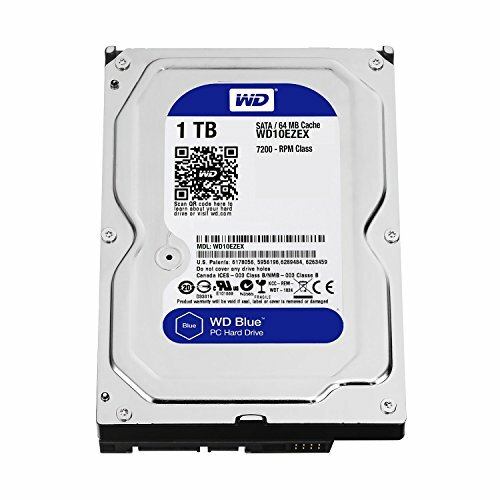 A great drive to store games and videos on. No problems so far and it's fast for a hard drive. WD is a good brand. A very nice case. You can see almost no wires because of the way it's setup. A few HDD mounts in the bottom and two SSD mounts on top. USB 3.0 and audio jacks built into the case. It's the perfect size for me and the large side panel looks amazing. I have had no issues with this PSU and after switching on ECO mode it runs very quiet. I bit overkill but there's no such thing as overkill and now if I want to add anything else I need not worry. Plus a lot of PSUs are three most efficient when used at half wattage. Although some may not like it this is my favorite iteration of Windows thus far. I have been using since Windows XP and have used Vista, 7, 8, 8.1, and 10. The way the store works on Windows 10 is so much better. You have UWP apps and games like Halo, Forza, and Gears of War which Microsoft would have never brought to PC otherwise. Other apps like the Xbox app are amazing and allow me to talk to my friends who play Xbox. A lot of these things would have simply not been possible on other versions of Windows. Except for the intrusive privacy stuff (I recently disabled allowing them to use my PC to send Windows updates to others) I would say it's great. Just remember to disable all those things. Well...... ****. i love it! :) how can a simple build be so awesome. i just love that card.... SO MUCH! But pls shoot better photos maybe. Yeah, but i would like to now why he chose the 6700k or so. It was the best skylake processor when I built this PC in late 2015. Oh my bad. I have never posted a build before and I thought it was only for myself to see as it said "Pending Review by Moderator." I updated the description and added reviews for all the parts. thank you for this nice description and more photos! I love it! I don't have a DSLR camera or anything I just shot the picture with my phone. It comes up looking much worse in pictures from a combination of my phone's camera and bad lighting. If I were able to take better shots I would! In the parts list I also list the hybrid add on I purchased. How're you liking that add-on? Ive always been kind of skeptical about aftermarket AIO for a GPU. It runs much cooler and quieter than that stock cooler did. I would recommend it. Although it was making some sounds like air was passing through the pump but I flipped the radiator so the tubes are at the bottom and it's fine now.